Another Kawartha Komets Special Needs Hockey Program player is making news in the sports world. Quinten Over (pictured on the far right), one of our Senior players, works with the St. Peter's hockey team that won gold this week as a manager. CONGRATULATIONS, Quinten, and to the entire St. Peter's hockey team for your achievement. 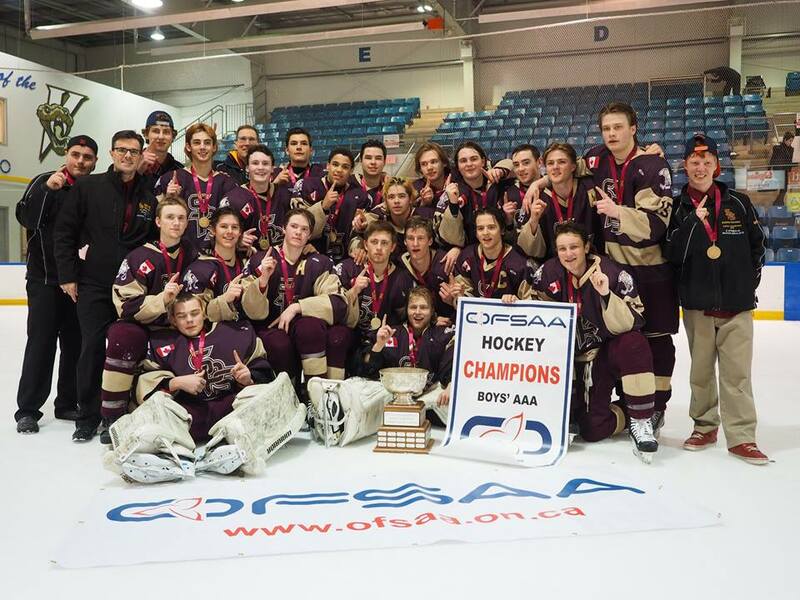 The St. Peter Saints left little doubt who was the best AAA high school boys hockey team in Ontario. The No. 1 seed Saints captured their second OFSAA AAA gold medal in four years, and second in school history, by blanking the host St. Thomas Villanova 4-0 in Thursday's final at Windsor's Volmer Centre.